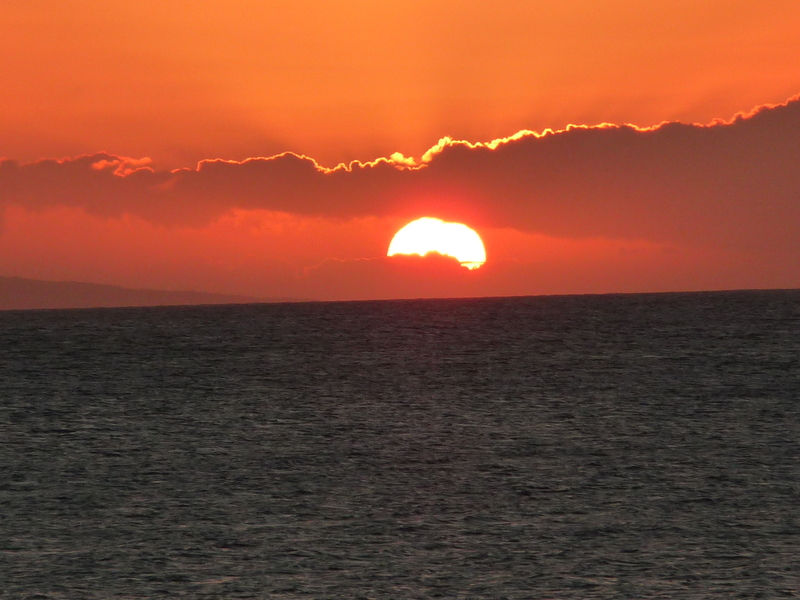 Well people, it’s certainly been an eventful first-ever visit to Maui! We had a memorable day yesterday, snorkeling in two different areas, getting sunburned and exhausted. But what fun! 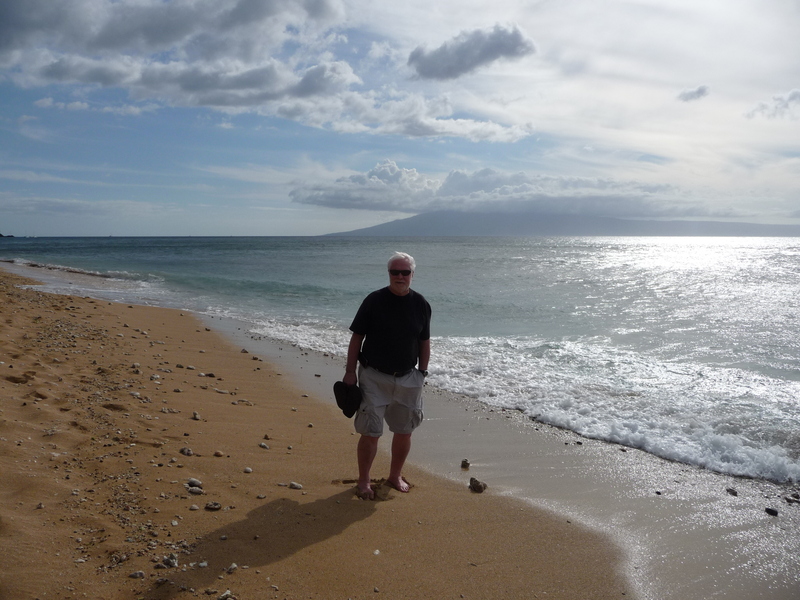 We saw our first green sea turtle and then a second one when we moved up to Kapalua Bay. We got out the boogie boards and had a ball on those too. We have been watching the Humpback whales, spouting and breaching … frolicking in the warm waters. Awesome sight! We love our little studio condo – just the right size for the two of us. We fell into bed, so tired last night and were truly shocked when at 10:15pm someone was POUNDING on our door! I ran to the door where a guy informed us there was a tsunami coming and that we needed to get to higher ground. This 2nd floor condo is literally 30 feet or so from the ocean (built 40 years ago when that was okay) and we knew we better get OUT. It was then we heard the long blast of the tsunami warning alarm. I couldn’t believe how fast we packed up our stuff and how easy it was to decide what we really needed versus what was easily replaceable. We were in the car by about 10:30 headed up the highway towards the West Maui Airport which just happens to be high on a hill. We were in good company…. the road was CLOGGED with cars, bumper to bumper. It took us at least an hour to go about one mile. Once there, we were directed to park in a lower parking area, as the upper area was already full. The first wave of the tsunami was supposed to arrive about 3 am, so about 1 am we began the half mile trek up the hill to the airport. That was a heck of a workout, I’ll tell you! We knew there were bathrooms up there, and that was the main reason we went up. Us and what seemed like several hundred other folks. It was there we spent the night. They had the radio on, keeping everyone updated regarding what was happening here on Maui and the other Hawaiian Islands as well. I’d forgotten how nasty it is to have to stay up all night… that horrible nauseated feeling and scratchy burning eyes, the desperate feeling like you want to sleep, but you just can’t. Some people could, and yes, I envied them. The whole thing was totally calm and what seemed to be very well organized. I send out HUGE kudos to the Airport security/maintenance guys who kept the bathrooms open and functioning with plenty of toilet paper, paper towels, and hand soap! Believe me, the ladies room got LOTS of use! About 7 am we wandered slowly down to our car, hoping the “all-clear” would come soon. We had to wait till 9am until the Hawaiian authorities determined it was okay to return to our homes. What a joy it was to get back to the condo and find everything absolutely fine. Even the electricity was on and we could make some MUCH NEEDED coffee. 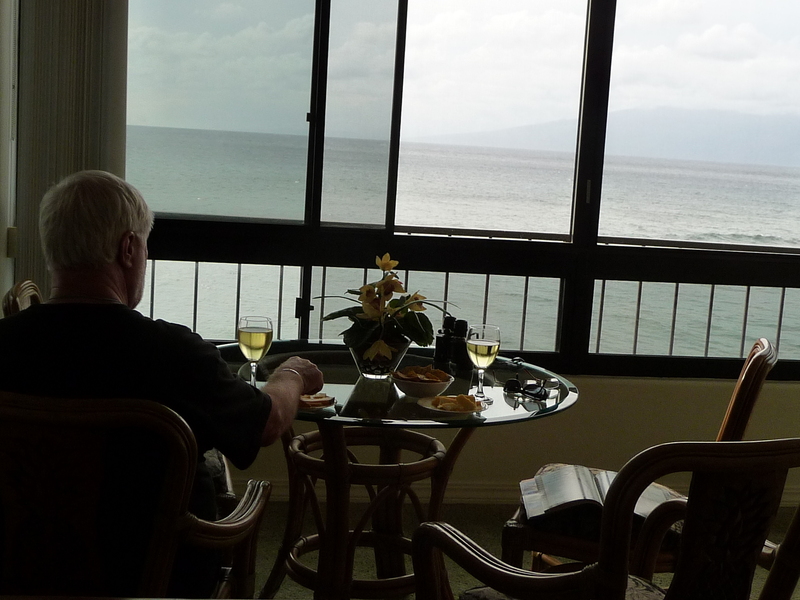 After a small breakfast and some delicious Kona coffee, we drifted off for a morning nap. Well, chalk up another remarkable and unforgettable experience…not one that I ever care to repeat, to be perfectly honest. 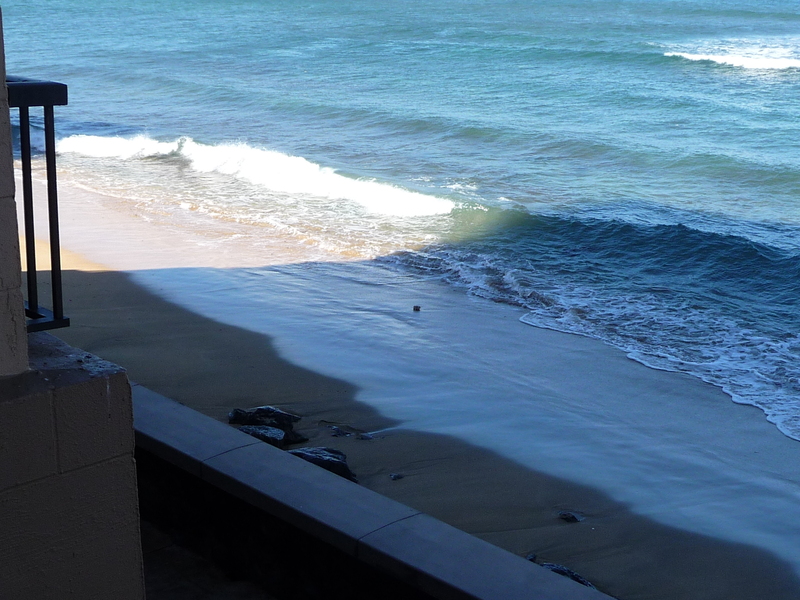 10am the "morning after" the tsunami. 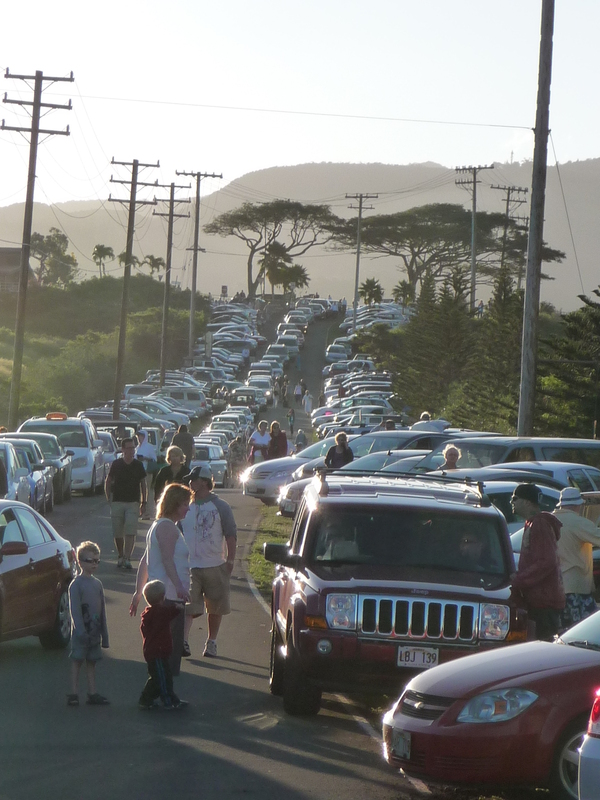 Wall to wall cars on the road up the hill to the West Maui Airport… the morning after the tsunami. 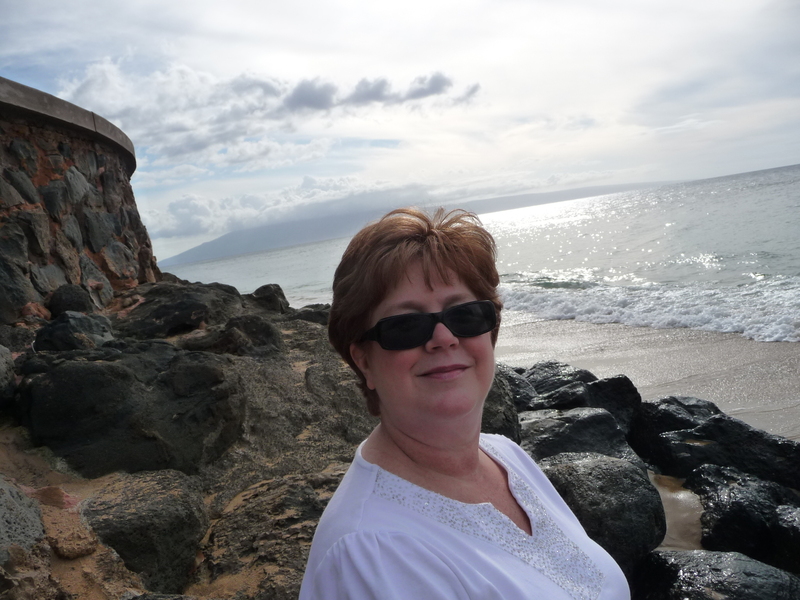 This entry was posted in General Musings and tagged Maui, tsunami. Bookmark the permalink.